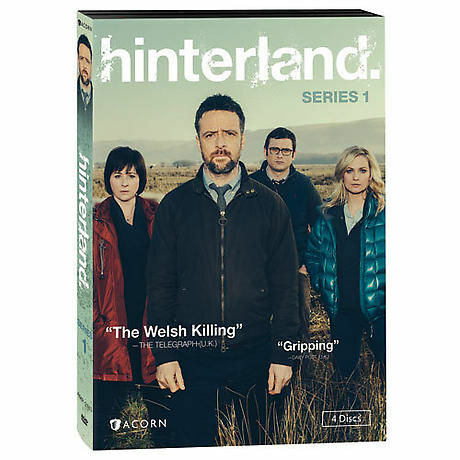 What Wallander is to Sweden, Hinterland is to Wales: a dark and harrowing detective drama with compelling characters and suspenseful stories. Richard Harrington (Lark Rise to Candleford) is DCI Tom Mathias, a brilliant, brooding loner on the run from his past; Mali Harries (Foyle's War) is smart, hard-working DI Mared Rhys, a local girl who knows the land and its people. Together they confront a series of mystifying murders. Filmed on location in the bleakly beautiful coastal town of Aberystwyth. 4 episodes, 6½ hrs, 4 DVDs, SDH. Mature audiences.